Steve Freund. . .born and raised in Brooklyn, reborn a Chicagoan the day he stepped off the bus here in 1976. The list of people he's worked with since reads like a Who's Who of Chicago blues legends: Sunnyland Slim, Luther Allison, Lonnie Brooks, Otis Rush, Koko Taylor, Jimmy Walker, Eddie "Cleanhead" Vinson, Johnny Littlejohn, the late Big Walter Horton - you name them, Freund's played with them, always adding, inventing and tastefully pushing each tune. Perhaps the most telling indication of Steve's talent is the cluster of top Chicago bluesmen that gather near the stage when he's on - watching and listening, shouting encouragement, sometimes shaking their heads in amazement. His upfront performance here inspires just such a reaction. His guitar soothes you one moment, stings you the next. His singing is smooth and relaxed. And his leadership, so crucial to the creation of this record, is strongly evident in every beat, every note, of every song. Steve Freund is a musician's musician. 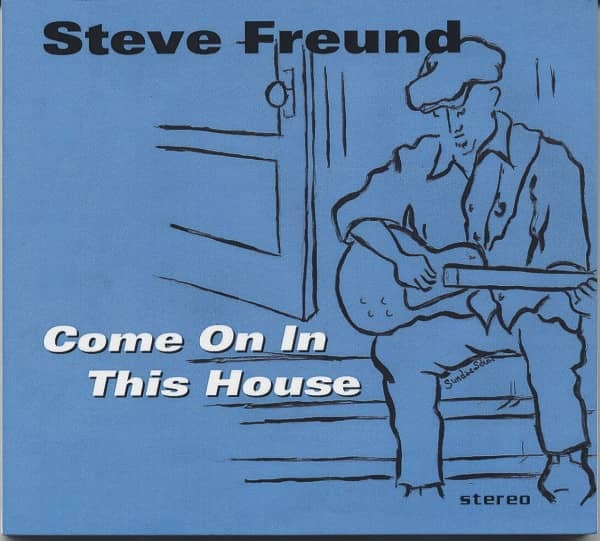 Évaluations de clients pour "Freund, Steve Come On In This House"